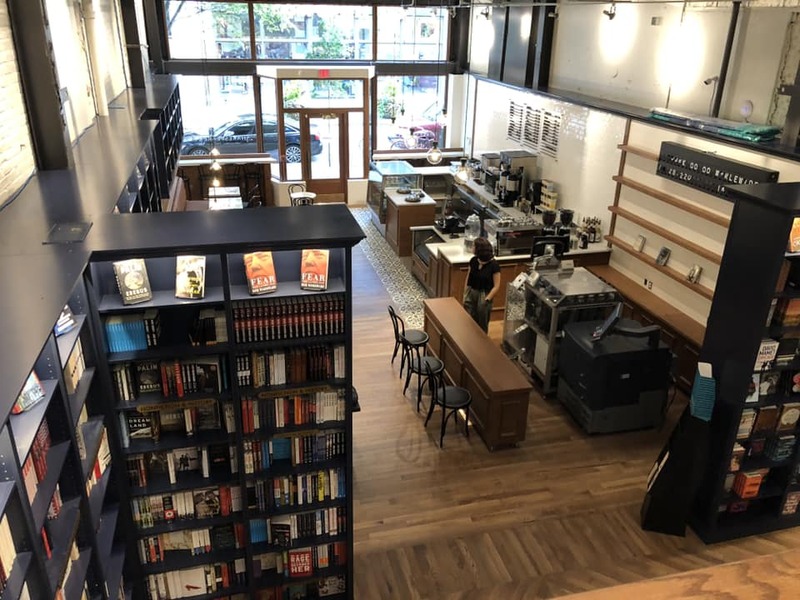 We had some very exciting bookstore news here in Philadelphia with the soft opening of the new Shakespeare & Co. bookshop in the heart of the city. 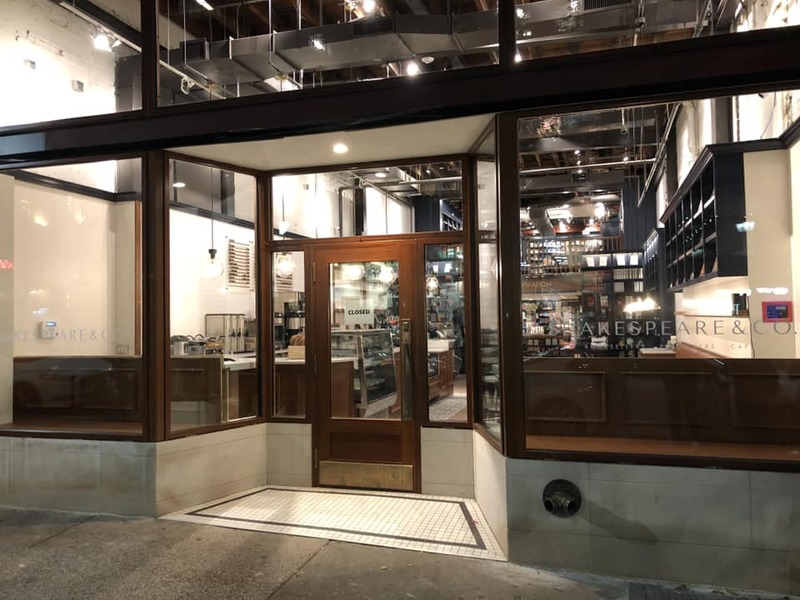 Located in the ritzy Rittenhouse Square neighborhood on Walnut Street, the store occupies the former early 20th century Fidelity Trust Building. The decor incorporates original brick, steel, and wood work from the old structure in a contemporary design. 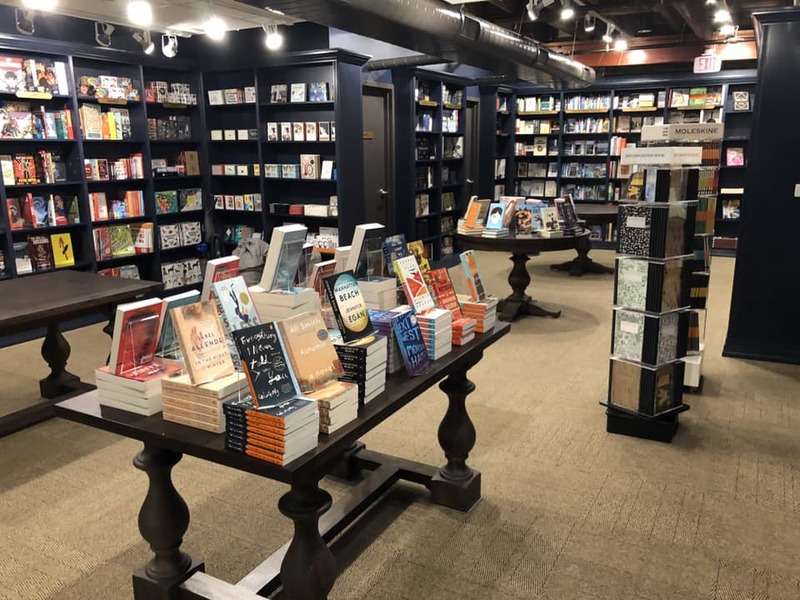 The two floors of the bookstore offer a well-curated selection of about 15,000 titles and a print-on-demand publishing machine. 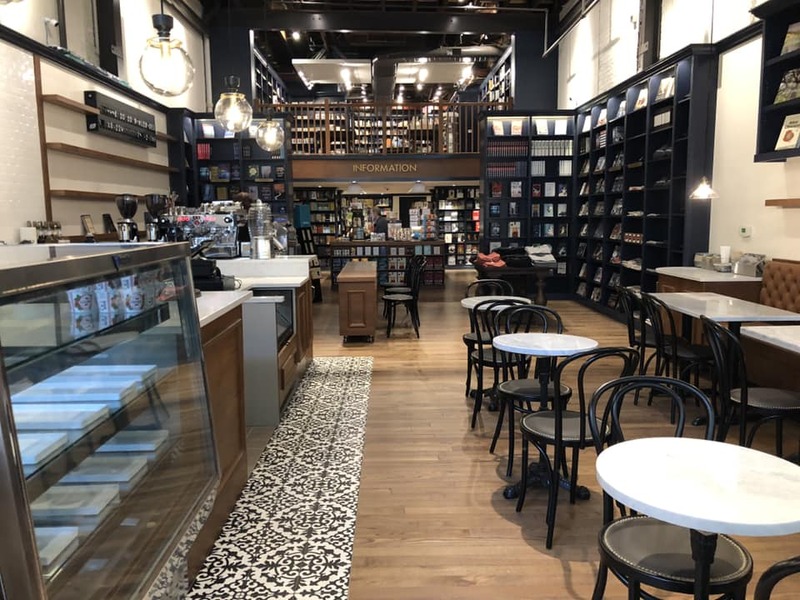 There’s also a cozy cafe with La Columbe coffee and snacks from the great Metropolitan Bakery. 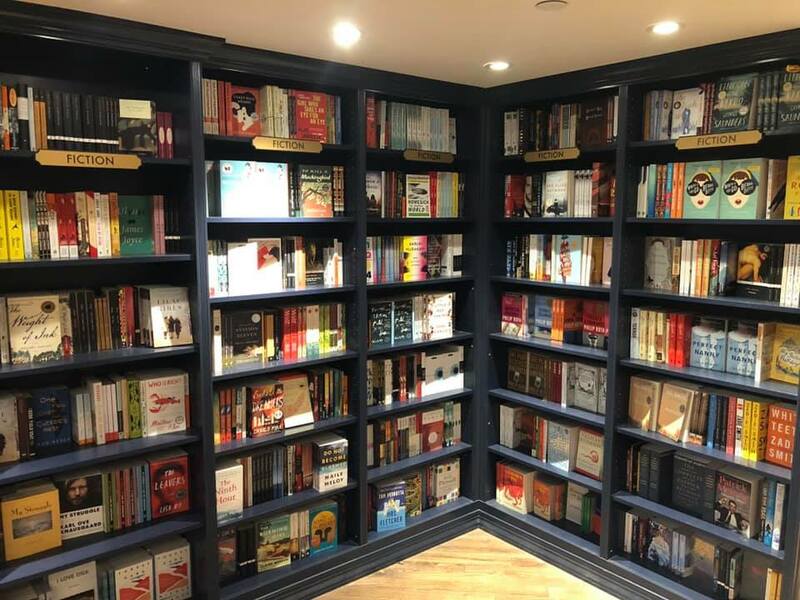 Shakespeare & Co. is the first branch outside of New York City for the expanding chain that has no ties to the iconic Paris bookstore of the same name, or either bookshop in Prague or Berlin also capitalizing on the historic reputation. 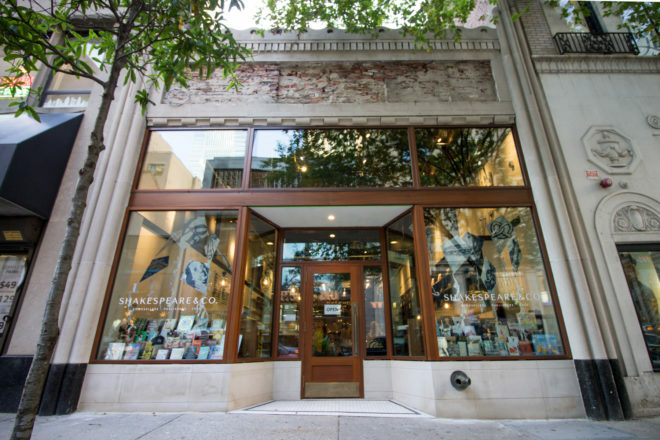 This entry was posted in Architecture, Books, Bookstore Tourism, Restaurants, Tourism, USA and tagged NYC, Philadelphia, Rittenhouse Square. Bookmark the permalink.